We created an ePub for the publishers Hanser Verlag for the iPad and Kindle. We delivered 2 ePubs wherein the features for the iPad were different than the ones on Kindle! 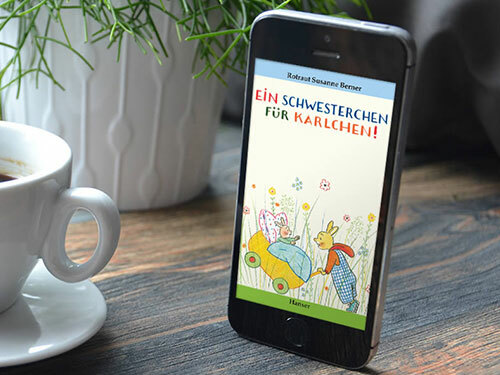 Following are the names of the 5 books which were converted into ePubs similar to 'Ein Schwesterchen für Karlchen': Abenteuer mit Karlchen, Karlchen geht einkaufen, Wo ist Karlchen?, Guten Morgen, Karlchens and Gute Nacht, Karlchen. The platform on which these ePubs can be viewed is the iPad and Kindle. Hanser Verlag series consists of 6 books in total, of which all were converted into ePubs to make a different impact for reading. The ePubs created so far for the iPad comprise of features such as sentence highlighting and read aloud. For Kindle the function of tap zooming is added to make reading easier. On the whole this series is very interesting and we helped deliver just what was needed by the client.